My name is Lindsay Browning and I’m a sophomore biomedical engineering student at the College of Engineering here at Cornell. 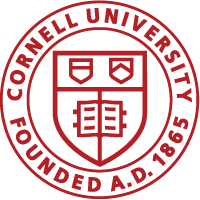 I am also part of Cornell’s Naval ROTC program and Women’s Varsity Ice Hockey team. I’m originally from Rochester, New York, which is about two hours to the north and west of Ithaca. When I was looking for colleges, I really wanted to go far away from home to a big city; what a difference that is from Ithaca! But it turns out I’m really happy that Cornell was the final pick because I couldn’t feel more at home amongst my friends here. I mentioned that I was a biomedical engineering student, but I’m actually in the process of switching to chemical engineering. That’s one of the things I like about Cornell. It’s very easy to change majors within your college. Engineering students typically don’t affiliate with a major until after the fall semester of our sophomore year. Freshman year is filled with a wide array of courses so we can get a little taste of everything and discover where our true passions lie. Speaking of passions, I am also a part of the Naval ROTC unit. ROTC stands for Reserve Officer Training Corps. The goal of the program is to prepare students over the course of their college careers to become officers in the Navy or Marine Corps. We have Army and Air Force units, as well. Every semester, we take two extra courses. One meets every Wednesday afternoon when we are wearing our uniforms, and we either do general military training or have guest speakers who have served around the world. The other class depends on the semester, but we are essentially learning how to be successful leaders. Every summer we also have the opportunity to train in places that others can only dream about. I spent four weeks in San Diego last summer, and know several others who have trained overseas. It might sound busy having to juggle academics and ROTC, but with a little bit of good time management, there is still plenty of time to take part in other activities you love. For me, that is ice hockey. I was recruited in high school to play on the varsity women’s team, and it is probably one of the most rewarding experiences I’ve had here at Cornell. We practice every day and travel all over the northeast on weekends to play against other schools. Right now we’re are doing very well and are even ranked 7th in the country! My teammates are like a second family to me, and although hockey takes a lot of time, I couldn’t imagine life without it.